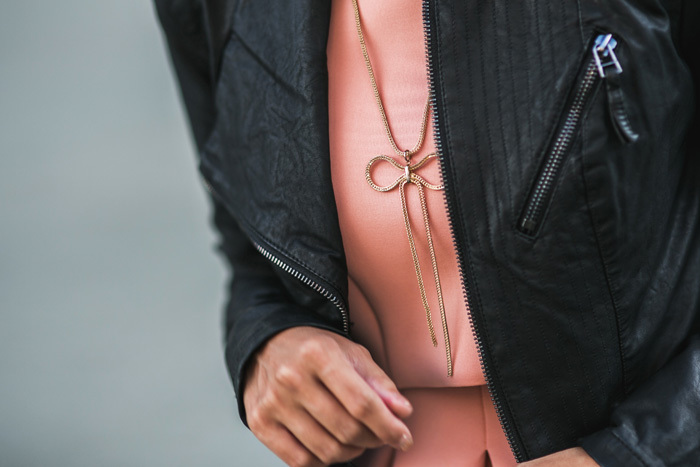 This jacket from Nordstrom comes in three colors and has a great fit. The XS fits me nicely and I can see myself wearing it with some many different looks – jeans, maxi skirts and over dresses like this look today. P.S. A handful of my favorite retailers are having MAJOR SALES going on right now! It’s never too early for holiday shopping right?! Morning Lavender (shameless plug) – EXTRA 25% off ALL already reduced SALE items. Some of my favorites are this polka dot strapless dress, light pink lace dress, and gold sequin shift dress. 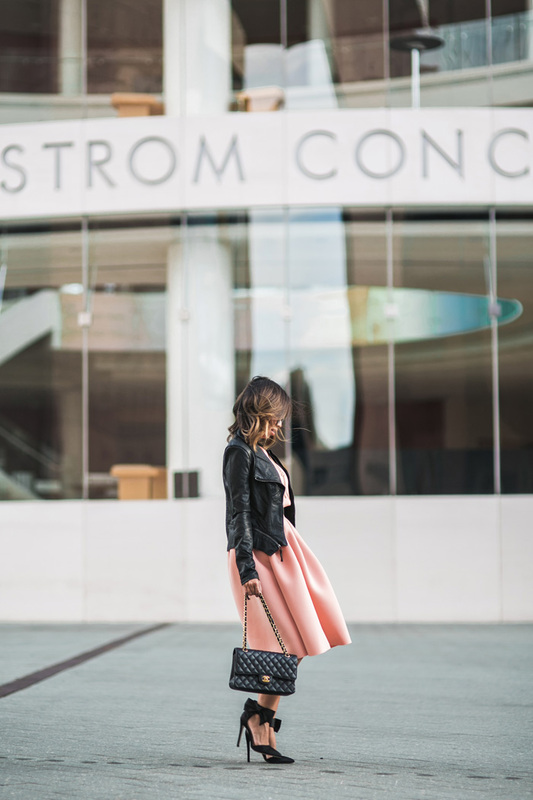 Nordstrom – Fall Clearance Sale with up to 40% OFF select items. This Ted Baker Clutch is 40% OFF and so adorable Ted Baker Bow Satchel! 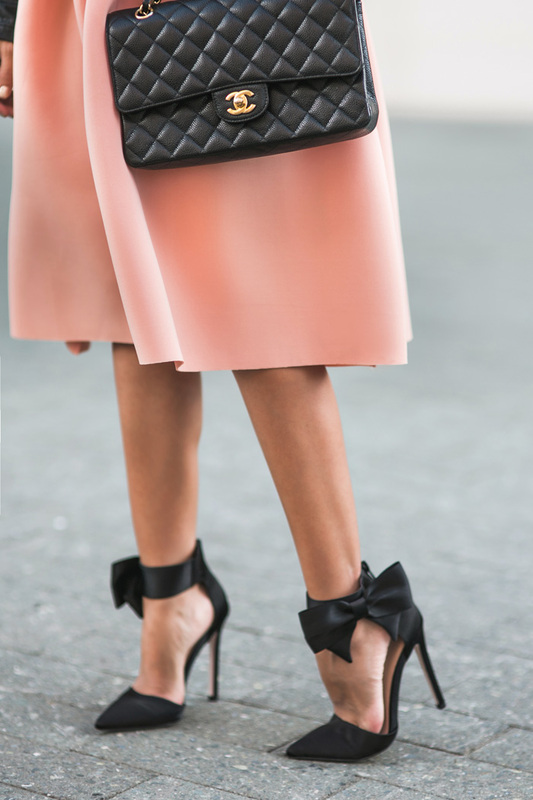 And if you LOVE bows, you gotta get this two tone Kate Spade Bow Satchel that is 33% OFF. I’m in love with this!! That dress is gorgeous.